Reliable performance in even the most extreme conditions. GE Marine, Stationary and Drill Solutions delivers smart, safe, emission compliant, and reliable performance in even the most extreme conditions. Technologically advanced and environmentally compatible diesel power solutions with rugged design for stable, dependable service. 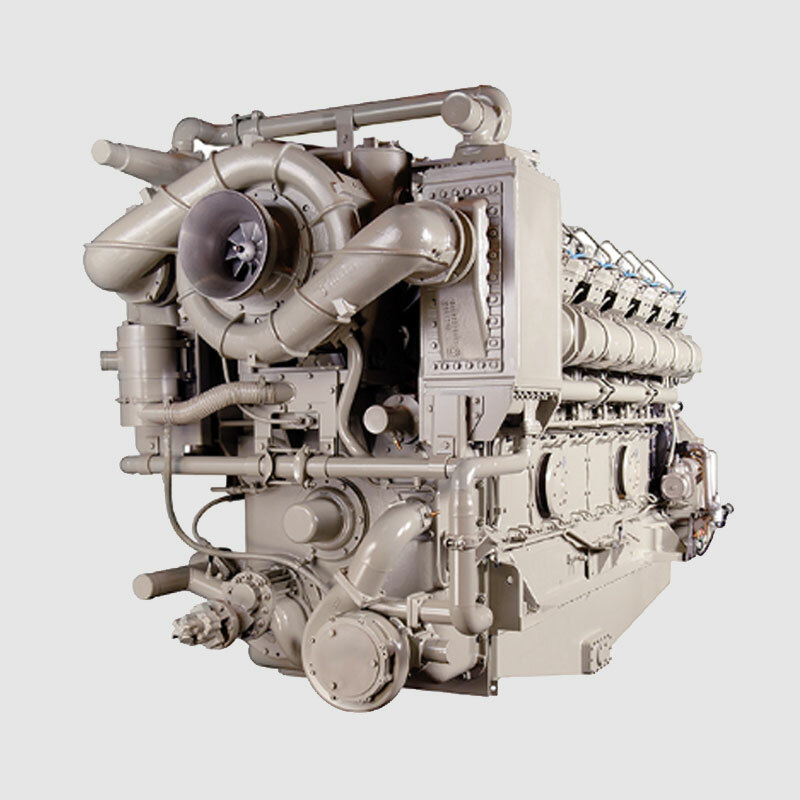 Representing the pinnacle of GE design, the powerful V250 is the most technologically advanced, fuel-efficient and environmentally compatible diesel engine ever built by GE. Featuring a lighter-weight, compact footprint, it can accommodate large-bore engine design, while offering continuous power from 2,922 to 3,847 ekW and emergency stand-by power up to 5,065 ekW. The L250 Diesel Engine is available in 12- and 16-cylinder models and meets EPA Tier 2 emissions standards. 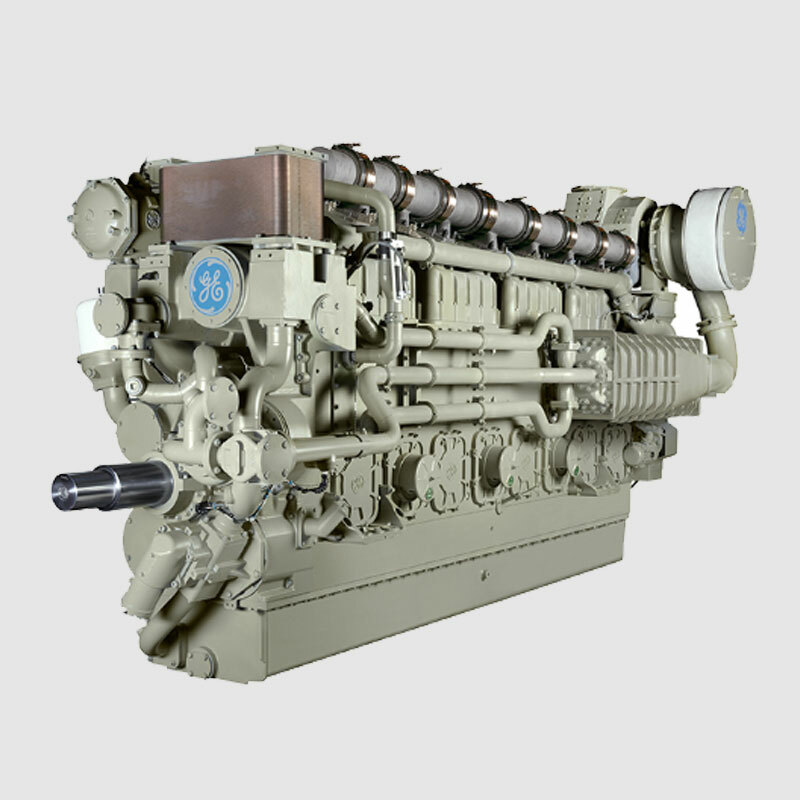 Providing dependability, fuel efficiency and lower life-cycle costs, GE’s V228 Series Diesel Engine provides an economical alternative to high-speed, high-cost power. The engine delivers a 3-5% fuel savings and nearly twice the mean time between maintenance cycles in a typical power operation. 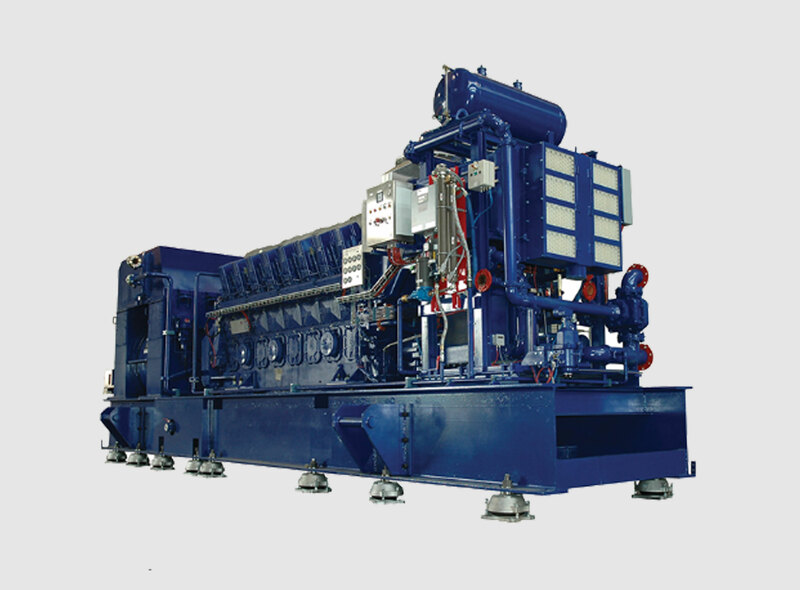 Available in 8-, 12-, and 16-cylinder models, its high-capacity turbocharger, electronic fuel injection and efficient combustion management make fuel and lube oil consumption among the lowest in the industry. 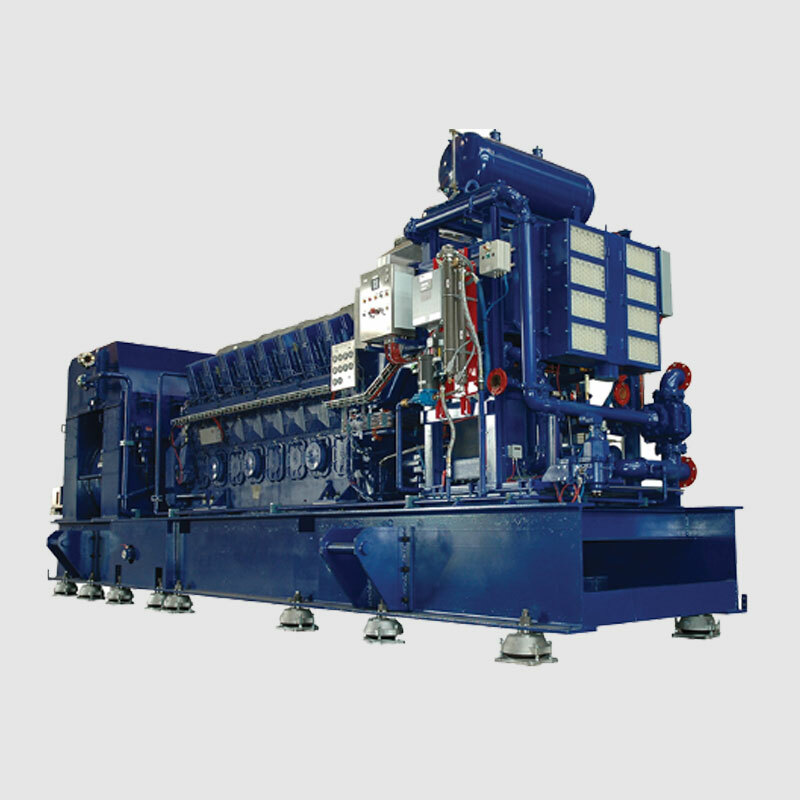 Offering continuous power from 1,307 to 2,905 kw255 to 2,803 ekW, and prime power up to 3084 ekW, the engine’s rugged construction and quality-assured parts allow it to run cost effectively for 20 years or more. The L250 Diesel Engine’s narrow footprint allows ease of maintenance and re-power, and its advanced technology delivers fuel efficiency and emissions compliance. 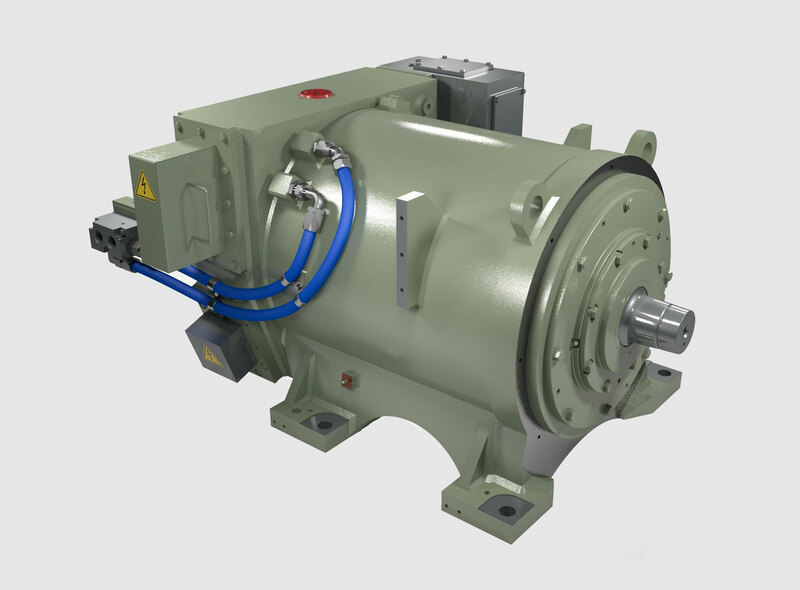 Featuring a lighter-weight, compact footprint, it can accommodate large-bore engine design, while offering continuous power from 2,922 to 3,847 ekW and emergency stand-by power up to 5,065 ekW. 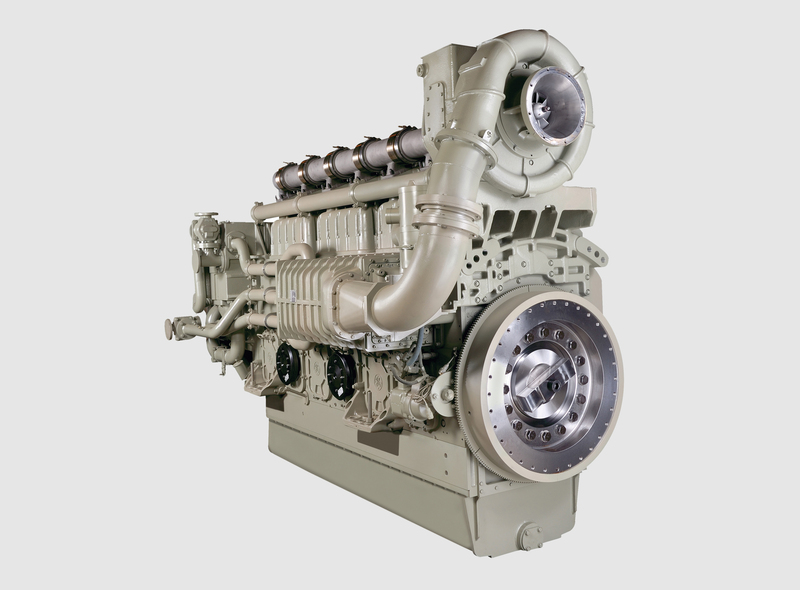 The L250 Diesel Engine is available in 12- and 16-cylinder models. Leading-edge emissions reduction technology in a durable, dependable medium-speed engine, driving the lowest life-cycle costs and greatest fuel efficiency to customers. Consistent track record of quiet, reliable and powerful drilling motors that enable flexibility with advanced technology for land and offshore rigs.